Humans impacting the world for the better, one tiny action at a time. 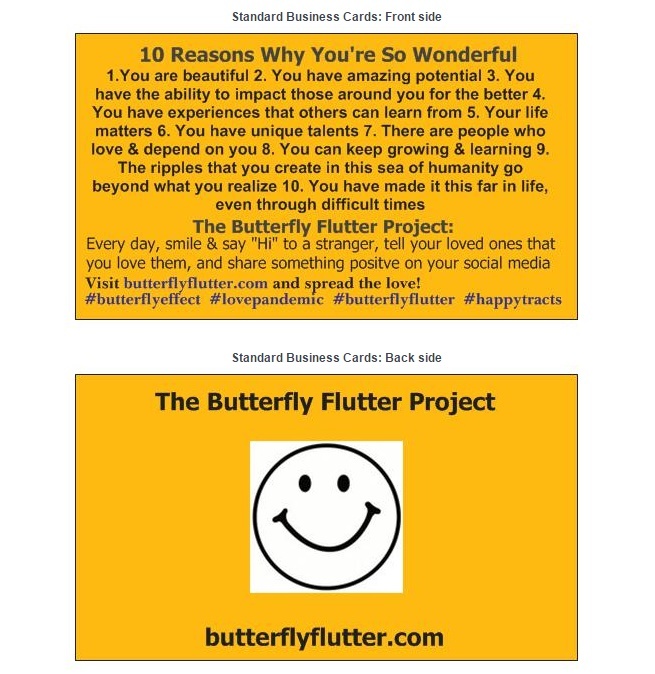 What is The Butterfly Flutter Project? I believe that you and I possess the ability to have a huge impact on our world via the consistent utilization of small, positive behaviors in daily life. We can create positive ripples in the sea of humanity that will travel far beyond what we will ever see. 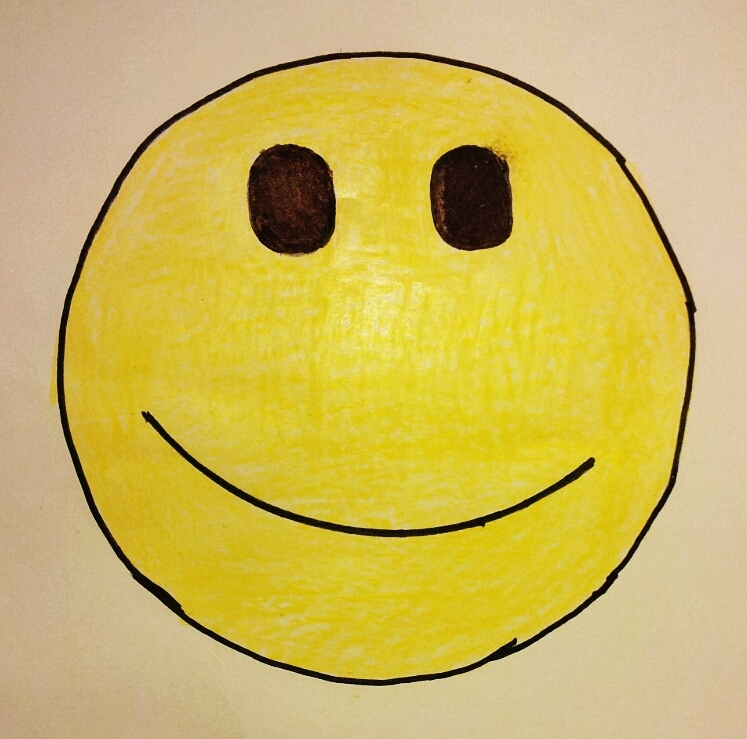 Our First “Happy Tract” Has Been Ordered! You may be familiar with “tracts.” They are small leaflets that typically have something to do with the Christian Gospel and the supposed method of avoiding damnation. Tracts have proven to be a great way to spread a message in person-to-person interactions. Yet, there are not really tracts around and available if you just want something to encourage other people without the baggage of religious dogma. Enter… “Happy Tracts!” I designed and ordered my first Happy Tract earlier this week and should have a batch of 1,000 in the next few days. I am sorting out the details on how to provide them for others who may want to order them from me. Once I have that all figured out, I will post order info and the appropriate links.